There is much more to smartphone photography than just pressing a button, so be sure to check out these helpful tips when you don’t have a point-and-shoot or DSLR on hand. For more pointers on guide photography, check out our How to Take Awesome Photos guide. The smartphone used in this guide is an iPhone 6s. Here are some tips on shooting with Android smartphone cameras. The settings on your phone may vary. Use as much lighting as possible. We suggest two clamp lights with "daylight" bulbs. If those aren't available to you, any lighting will work. Natural light works especially well if you're able to shoot in the daytime. If you're working in a small space, get creative! You might have to attach your lights to furniture or recruit a friend to be your lighting assistant. Butcher paper, craft paper, and matte poster board can be found at craft stores and work really well for backdrops. Mount your smartphone to a tripod to minimize camera shake. For crisp, clear shots, you need to keep the camera steady. If you have a tripod, but no smartphone mount, no worries! Here are some neat DIY options. If you don't have a tripod or a mount, prop your phone against something sturdy. For most smartphones, you have to tap the area on your screen where you want it to focus. Use a self-timer. Believe it or not, just having your shaky hands on the phone can introduce a little blurriness into the shot. Set your camera to a short delay using the self-timer setting so that you can remove your hands completely after pressing the shutter button. Prepare your images for a 4:3 aspect ratio. Aspect ratios may vary from phone to phone, so keep this in mind as you're snapping away. You can always photograph a wider area than necessary and crop it later in iFixit's media manager. iPhones capture images in a 4:3 aspect ratio, while most Android smartphones shoot in 16:9. Become familiar with the aspect ratio of your particular phone before shooting. Shoot your images in landscape orientation. It may be tempting, but don't rotate the camera to take portrait shots. 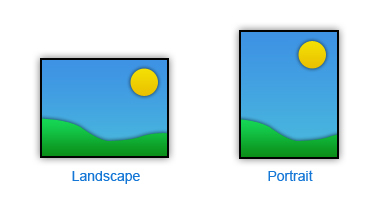 For layout consistency, we require all photos to have a landscape 4:3 aspect ratio. If you upload a portrait-orientation photo to iFixit, it will force you to crop it as a 4:3 landscape photo, and you will end up losing a lot of your image. Avoid using the zoom. Unlike most cameras which use optical zoom, smartphones use digital zoom, which reduces the resolution of your image. Instead of using the zoom, simply move your phone as close as possible to the subject. Avoid cropping images in your phone. Similar to using digital zoom, cropping in your phone reduces the resolution—and quality—of your photo. If you absolutely need to do some cropping, upload your original high resolution images to iFixit, and crop using our media manager. The first image was taken with the camera's zoom and then cropped in the phone. This reduces the resolution and produces a grainy—or noisy—image. You can especially see this when you look at the image full-size. The second image was taken with the phone as close to the subject as possible and cropped in iFixit's media manager. Don’t use flash! Flash is the enemy—it creates harsh shadows and unseemly glares, which can result in an improperly exposed photo. The first image was taken with the flash on. The edges of the photo are dark, and there is a harsh shadow behind the hand. The second image was taken without the flash. There are no rigid shadows, and the background remains well-lit without falling into the shadows at the edges. If you find yourself needing to use the flash, it's a good sign that you need to add more lighting to your setup. The second image does all of that equally well and also matches what the reader is likely to see. Do not take "Ta-Da!" photos. When writing instructions, it's important to be concise. A photo of a disassembled device doesn't convey any action or procedure. Layout shots like this are only used on teardowns. Teardowns provide a fun first look at a device's hardware, but they are not intended to be used as instructions.